are still “the Boys”. Mama (91) is still “the Boss”. Continuity in our relationships is a wonderful thing. It means that we have people who love us and know us. We have a shared history of joys (weddings, births) and sorrows (illness and death). We have a strong support system. What a blessing! a little extra love and comfort? Stop by and say “hello”; take them some holiday cheer and just spend time with them. The Board and Staff of Columbia County Senior Services, Inc. appreciates your support of services to senior adults in Columbia County. Diane Holbrook personifies what a volunteer is to the LEC. 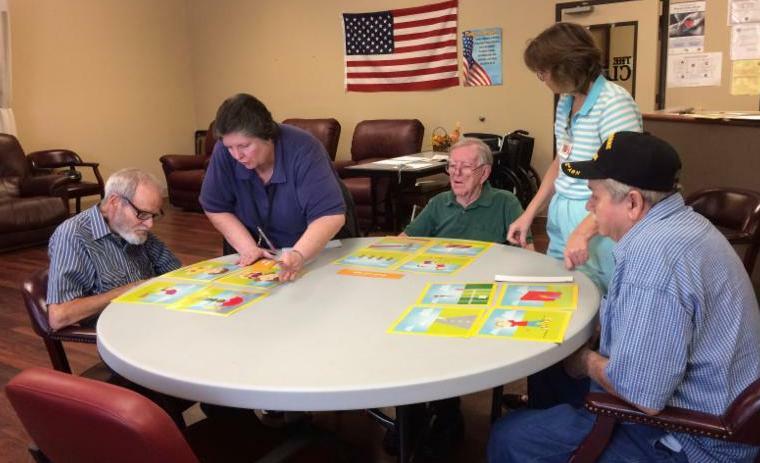 She has given her time freely to help our seniors create crafts and special hand designed projects. She gets involved personally in not only teaching, but in getting all of the materials necessary to complete the job. 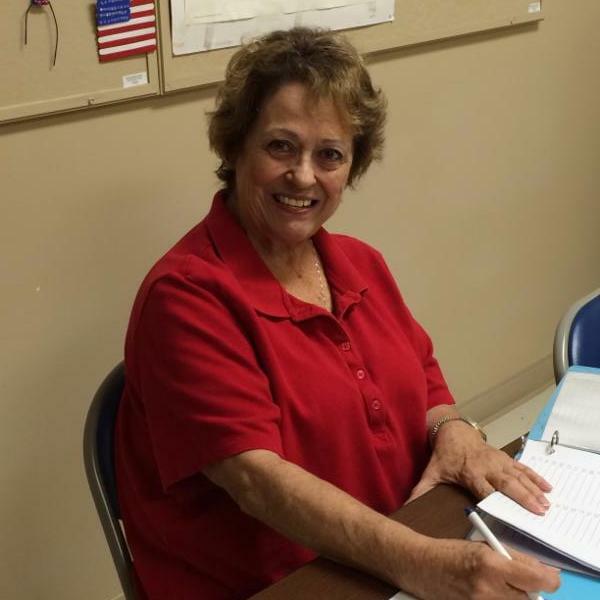 Diane says, “I have been volunteering since I was 4 years old.” Diane is a world traveler with her husband who served in the military overseas. But her personal hobbies also include collecting and caring for dogs. They soon become a major part of her family. She likes to collect antiques and keeps an eye out for fine jewelry. Her volunteering includes serving others at the Hospice Attic and County Coordinator for Special Olympics. She enjoys volunteering and gets to meet many interesting people. We salute you Diane Holbrook. 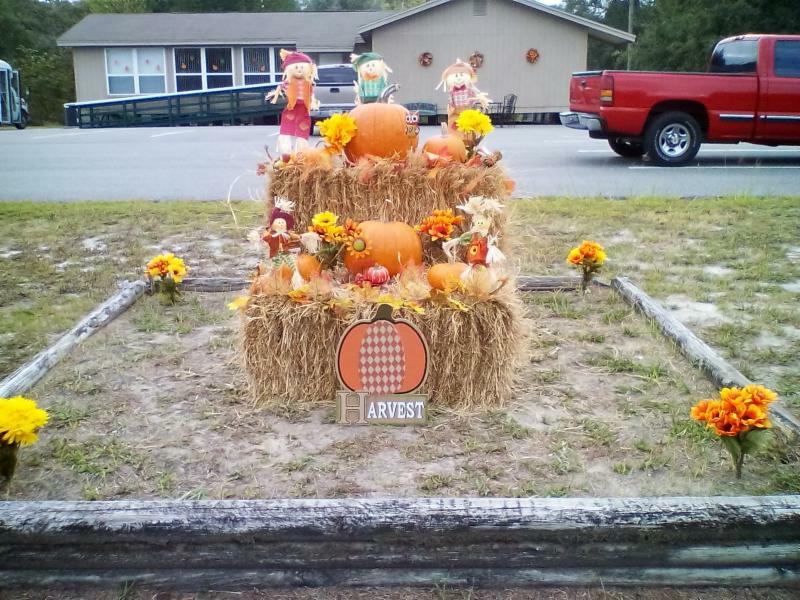 The Fort White Center is ready for Fall. Thanks to Fort White Farm & Feed and Lamar and Doug Mosley for the hay bales used to decorate the front entrance. Please drop by to see how nice it looks. 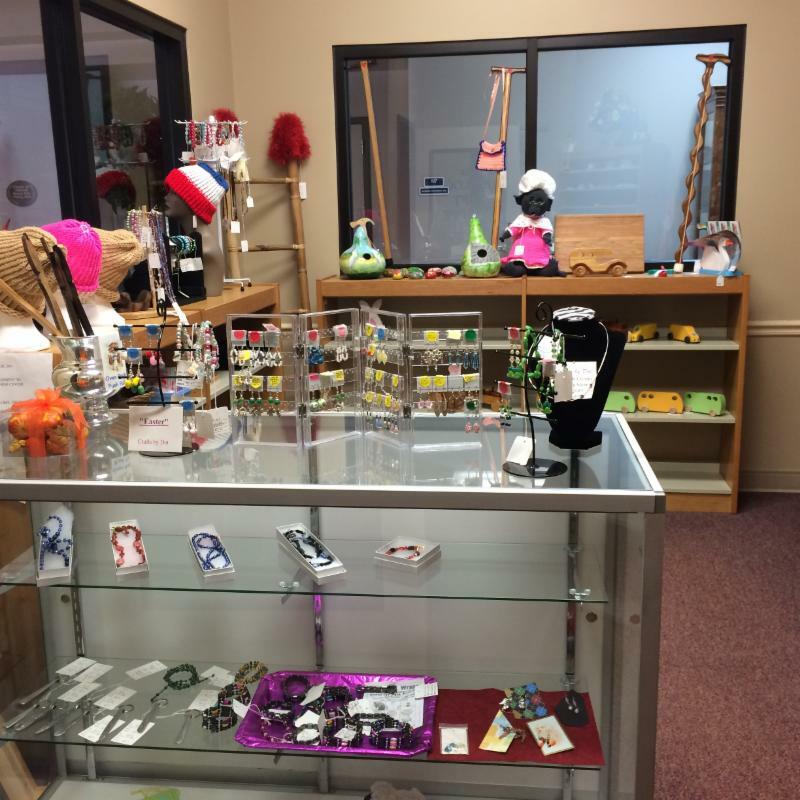 There are many treasures in the Heirloom Gift Shoppe making great gifts for anyone. The special items have been hand made and when you purchase a gift you help a senior who has made the item. The senior receives 90% of the proceeds of the sale. Stop by today and take a look. 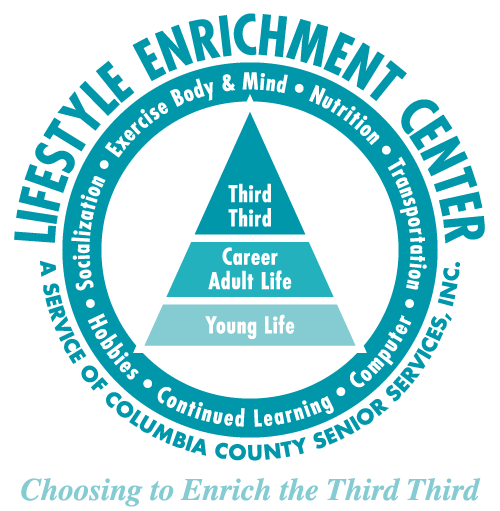 The Lifestyle Enrichment Center is seeking skilled people who want to make a difference and donate 4 hours of their time once a week to serve in special jobs at the Center. We are seeking an Activities Assistant as well as someone toassist in The Club. We also are looking for volunteers who will help as computer techs, public relations support, public speakers, woodworking specialists. These positions are filled once each week so we need more people to fill the positions on other days during the five day week. The process begins with an interview with the Volunteer Coordinator and the job supervisor. Once you are on board there will be a volunteer orientation and training. You will be able to interact with our consumers and our staff. The pay while not in cash will be priceless as it allows you to use the experience and skills you have achieved. Visit our website and see what we do and who we are then give us a call at 386-755-0235. The Extended Family Services (EFS) offers a helping hand to seniors and anyone who may require service to meet personal care needs. When Mary who lives in Texas found that her elderly father who lives in Lake City needed help she called EFS. Mary and the family who all lived out of the area were not able to care for father the way they would like. Mary called EFS for assistance and was able to request meals and care services to help her father. This gave her some peace of mind knowing he would be given care. Soon three Certified Nursing Assistants alternated schedules to provide services at the father’s home every day, seven days a week to fix him a hot meal and sit with him and do some homemaking. Mary receives updates regularly about her father. Mary is grateful that the Extended Family Services is there for her father. If you are in need of EFS please call Nancy at 386-755-0235 Ext. 120. WEALTH OF INFORMATION FAIR A SUCCESS! 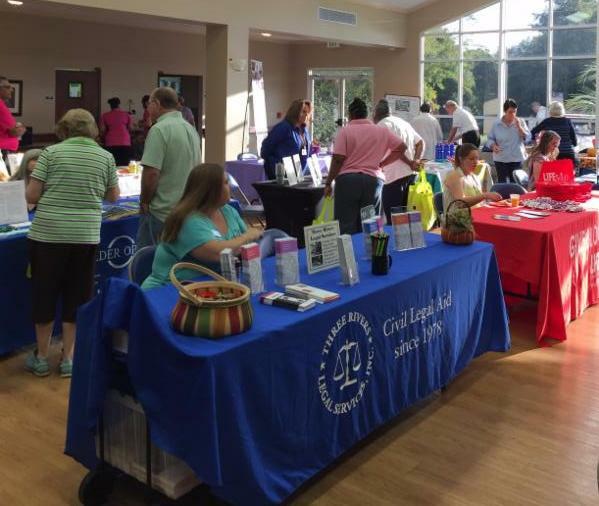 Over 20 local businesses came to the Lifestyle Enrichment Center for the Wealth of Information Fair. We thank them for attending and sharing with us about their services. Those businesses that participated are Haven Hospice, Kindred At Home, Community Concerts,Hearing Solutions Care, Aging Resources, Three Rivers Legal Services, Raymond James/Odom & Moses, My Florida License, Florida Health, Neighborhood Nutrition, Life South, United Way of Suwannee Valley, Therapeutic Massage, Willowbrook Assisted Living, Baya, Cornerstone Home Care, North Florida Guardian, Awareness Blooming, C/C and Associates, Inc.